The Magnolia Hotshots bounced back from a loss against their rivals in resounding fashion. They took down the NorthPort Batang Pier, 103-90, to claim their fourth win of the season. Magnolia stays in the hunt for a quarterfinals seat forcing a three-way tie at the bottom of the playoff race with a 4-5 record. Northport falls to 11th with their sixth loss in eight games. Paul Lee and Ian Sangalang carried the Magnolia offense with 24 and 20 respectively. Lee came off the bench to lead the team in scoring built on six three-pointers. Sangalang led all starters, shooting at a 53% clip. Rodney Brondial added to Magnolia’s production with 14 points. Sean Anthony paced NorthPort with 20 points and eight boards. The Hotshots made sure to start the game on a strong note to erase the effects of their last game. Sangalang and Lee knocked led the run midway through the first period. From a three-point deficit, they added on to the turnaround to push Magnolia’s lead to nine. The Hotshots scored 33 points to open the game. The Batang Pier refused to let the Hotshots run away with the game. They erupted for 34 points of their own in the second period to retake the lead from Magnolia. Jonathan Grey, Garvo Lanete and Mo Tautuaa led a 9-0 blast to get their team back within one. Anthony then had his own blitz to push their lead up to 11 before settling for a six-point halftime advantage. The game stayed tight all the way to the final period. Down by six to open the fourth quarter, Brondial made his presence felt as he powered an 11-2 run with six points to push Magnolia back ahead by three. Sangalang, Lee and Jio Jalalon then closed out the game as they pushed Magnolia back up by double-digits to seal the win. In the first game, the Alaska Aces vaulted back into the quarterfinals battle, easily taking down the Meralco Bolts, 92-77. Alaska is at eighth with a 4-5 record while Meralco falls to 10th with a 3-7 slate. 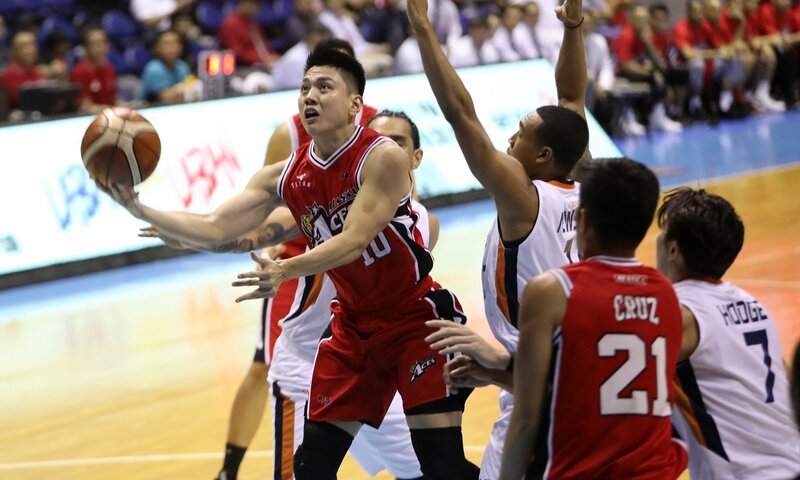 Jeron Teng continues his breakout season with 16 points to lead five players in double figures for Alaska. Simon Enciso backed him up with 14 points while Chris Banchero and Sonny Thoss added 13 each. Jvee Casio knocked down 12 points off the bench. Nico Salva led Meralco with 23. The Aces progressively took over the game, grinding down the Bolts as each quarter progressed. The Alaska starters teamed up to build a 10-point lead early in the game which Meralco cut down to just four after the first period. Meralco took a five-point lead in the second period but they wouldn’t be able to sustain their run. Banchero and Enciso led Alaska back on top before Casio’s outside shooting kicked in. he knocked down two jumpers to help the Aces take a seven-point lead. 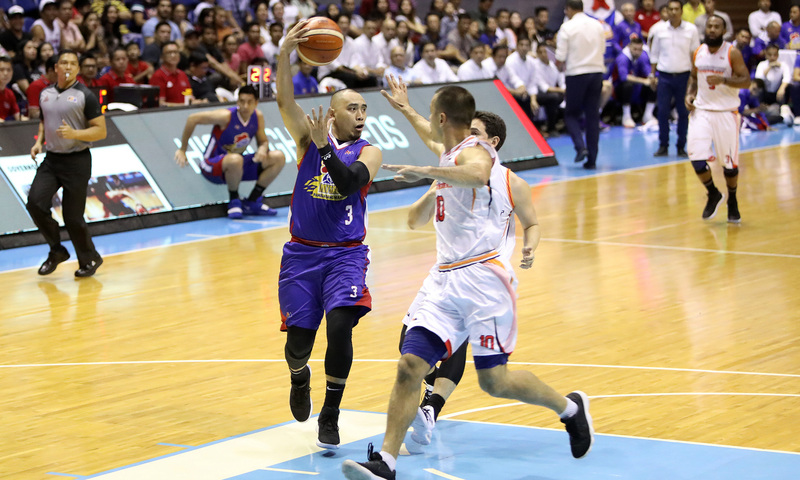 Enciso and Thoss took over teh scoring duties in the third quarter as the Aces built a double-digit advantage. Alaska would go on to build a lead as big as 18 points, cruising to the win in the final period.